This delightful two bedroomed apartment is situated in the centre of Uppingham where everything is within walking distance. One double room, one twin room, lounge, bathroom and fully fitted kitchen. Allocated parking space for one car and WIFI. Fully equipped. Richil House was built circa 1880 and has rich Georgian Town House features including a typical Georgian façade and high ceilings within. 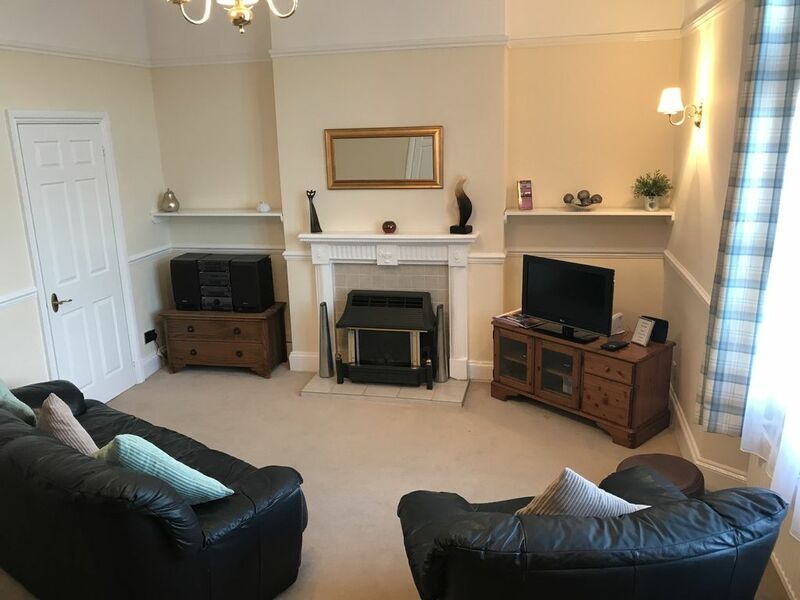 Our apartment features everything that you would expect in a real 'home from home', in order for you to enjoy your stay in our charming town. A lovely apartment with every possible convenience and comfort. The apartment at Richill House, situated in the beautiful town of Uppingham was perfectly situated, just 3/4 minute walk to the market square with an abundance of eateries. It was spotlessly clean, warm, nicely furnished and....had parking!! I have stayed in many well equipped properties but this had simply everything. Tea, coffee, biscuits, jams, marmalade, condiments, toiletries, cleaning products. The communication with Amanda was spot on. Would highly recommend. Great flat ,ideally located for Rutland water. Great access to local restaurants and pubs and a good quality Coop. Fabulous home from home, centrally located for access to everything you could want. The apartment was beautiful and spotlessly clean, all equipment you could possibly want, we ate out all the time so kind of wasted on us, but there if you needed it, lovely comfy bed, and very warm and cosy and spacious, we will certainly book again soon. Owners on hand if necessary (only 5 minutes away), great watching the Harley Davidsons opposite. Thankyou. Only a brief one night stay, as our children were sailing at Rutland sailing club, zone championships. Really comfortable apartment with everything you need to make the stay a pleasureable one. Lovely places to eat in the market square just a 2 minute walk away. Would highly recommend this lovely apartment. Thank you for your review - it's good to hear that you had a pleasant stay in our apartment, and enjoyed your visit to Uppingham and Rutland Water. Do visit us again!